Corporate acquisitions are becoming more common place within the marketplace as small businesses and startup companies develop. Whether it is due to growing success in the market or winding up due to financial hardship, many companies may look to acquire promising new businesses or sell their assets to prevent further losses. In corporate acquisitions, what happens to the employees of the company that is acquired? This post explores the rights of workers who may be caught in a corporate acquisition. There are two primary means through which a business may be sold: sale of shares or sale of assets. When there is a sale of shares, the corporate body remains the same, so there should be limited impact on employment. The sale of assets means there is a new corporate entity, which may or may not impact employment and seniority. It is the latter that is the focus of this blog. Businesses and/or their assets may be transferred through bankruptcy proceedings, which in some cases extinguish employee rights. However, due the complexity of bankruptcy proceedings, this issue is outside the scope of this post. Under section 9(1) of the Employment Standards Act, 2000 (the “Act”), if a business is sold in part or in full and the purchaser decides to continue the employment of an employee of the seller, the employee’s seniority would carry over to the new position as if no change has occurred. While there may be some exceptions to this general rule (such as if there was a gap of time between the employee’s work with the seller and hiring by the purchaser), most employees who find themselves caught in a corporate purchase, would maintain their accrued seniority. This ‘continuity of employment,’ as referred to by the Act, can impact on an employee’s rights to termination pay, severance pay, vacation pay, pregnancy leave, parental leave, and many other entitlements. It is important to be aware of your rights, as employers may attempt to limit an employee’s entitlements based on their tenure with the new employer, rather than taking into account the fully accrued seniority. Since the Act is read into every employment contract, and replaces any term, and cannot be opted out of this means that the rights apply unless the transaction complies with the ESA requirements. Technically speaking, when employees are transferred to a new company via an asset purchase, the employment of the selling company’s employees end and begins new employment with the purchasing company. However, as stated above, legislation provides protection to employees who continue to work with the new company with their employment with their previous employer deemed not to have ended for any calculation of an employee’s length of employment. A common practice when a company is bought out is to present a new offer of employment to all employees that were retained by the purchasing company. If an employee enters into a new contract, they may be bound by its terms (assuming the contract abides by all legal requirements of a binding contract) while retaining their seniority. In the event that an employee refuses an offer of re-employment without good reason, it may be seen as a failure on the employee’s part to make reasonable efforts to stifle any personal losses resulting from their employment. Employees in this situation may not be able to claim notice if a reasonable offer is refused. However, if the terms of the new agreement are substantially different from the original terms of employment, an employee may have constructive dismissal as a remedy and seek notice or pay in lieu of for the dismissal. In corporate acquisitions that are not as clear cut, for example when a company purchases some but not all assets, the liable employer for termination notice may be unclear. Depending on the terms of the purchase agreement, it may be the former employer who is liable for termination notice and not the new employer. In that case, it would be prudent for an employee to name the correct employer in an action in order to prevent liability disputes in the future. 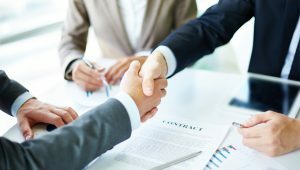 While in most agreements the selling company would require the continuation of employment contracts along with the business, this is not guaranteed in all cases. As you can likely infer from the contents of this post, an employee’s remedies and determining the liable party is highly dependent on the specific facts of the case, especially the purchase agreement between the parties. It would be prudent for an employee seeking to protect their rights to consult a legal professional well versed in this specific area of employment law. If you are uncertain where you stand in a corporate purchase, contact Monkhouse Law today for a free consultation.